OpenFlow Software Defined Networking SDN: Cheapest OpenFlow switch in the world. 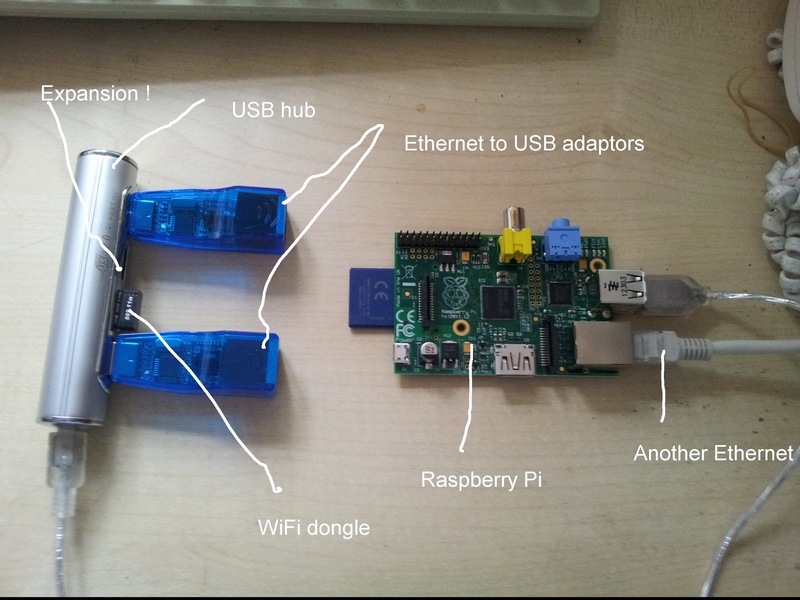 Using the Raspberry Pi as an OpenFlow switch. Cheapest OpenFlow switch in the world. Using the Raspberry Pi as an OpenFlow switch. If you want to learn about OpenFlow, there is no better way than to experiment. So how do you experiment when this stuff is new? Simple. Copy Google and build your own network! I am currently building my own OpenFlow switch so I can build my an OpenFlow lab and start experimenting. The goals for my DIY switch are that it has to be cheap, easy to build and useful. Thankfully lots of other amazing people have done all the hard work for me. You'll be able to build your own OpenFlow switch for about £50. I'm using the Raspberry Pi which you can buy for around £30. The Raspberry Pi is a small ARM based computer running Linux. It has an HDMI port, composite video, Ethernet port and 2xUSB ports. OK you might be thinking this isn't going to make much of a router when it only has 1x Ethernet port! To solve that problem I'm using a USB hub and have bought some USB to Ethernet adapters for about £3 each and a WiFi dongle based on the RTL8188CUS chipset for about £8. Assuming you have a USB mouse, USB keyboard, a monitor or TV with a HDMI port + HDMI cable and a USB hub then the cost for 3xEthernet + 1xWiFi switch/router will be £44. The Raspberry Pi recognised the USB to Ethernet adaptors and dongle straight-off so no messing around with drivers. This isn't going to be fastest router/switch on the planet. Firstly running Ethernet over USB is slow anyway and these adaptors are USB 1.1 (what do you expect for £3) so they will max out at about 6Mbit/s anyway. The Raspberry Pi is hardly a high spec computer either and in addition we will be running the switch software in user space. The purpose of this switch is not speed. It's to learn. In future articles I will explain how to install the software on your Raspberry Pi, get your controller and start experimenting. I'm also experimenting with the slightly more expensive RouterBoard 450GL. 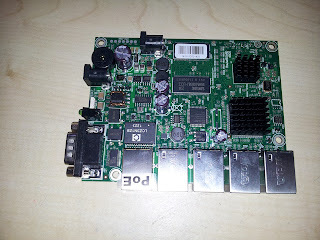 This is custom built low-end 5 port router for about £80. This is a little more involved to hack and will be covered in later articles. hi i am using a pantou but having problems using the ovs-vsctl command for pantou !! or else it would be the cheapest switch you can use for the switch implementation. I'd be interested in hearing your experiences with the RouterBoard 450GL as that seems like a great device for efficiently working with OpenFlow. I know they only recently put OpenFlow in RouterOS so any feedback is welcome. I am using Zodiac FX by Northbound Networks.